Best-selling duo enjoy a second life with the new pop generation. Daryl Hall is having a moment. Of course, he had plenty of moments as the lead singer in Hall and Oates, one of the best-selling duos in pop history. He created sleek chart-toppers like Kiss on My List and Maneater, sang alongside Bruce Springsteen and Michael Jackson on the charity single We Are the World and had a prime slot at Live Aid in 1985. But what he’s experiencing now is different — call it his cross-generational moment. At 63, Hall has attained something that eluded him in the Reagan era: hipster cachet. Suddenly, it’s cool to like Hall and Oates. "I respond to this with joy and happiness and a sense of fulfilment," Hall explains on the phone from his home in upstate New York. "When I was a teenager, I revered people who were veterans, like B.B. King, James Brown — people who somehow stood out from their own generation. I always said I want to be someone who’s part of history, and have what I do be renewed through people’s slightly different generational perceptions." If you saw last year’s bittersweet comedy (500) Days of Summer, you’ll remember the scene that helped kick-start the Hall and Oates revival. After spending his first night with new girlfriend Summer (Zooey Deschanel), normally reserved greeting card writer Tom (Joseph Gordon-Levitt) bounds to work, greets strangers in the street, and then unleashes a choreographed dance to express his happiness. It’s a charming sequence, a perfect expression of the joy of infatuation, and the song playing on the soundtrack is the Hall and Oates classic You Make My Dreams. 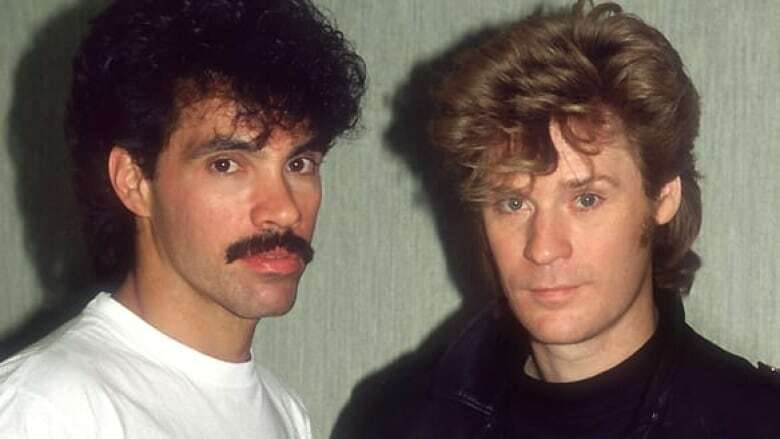 At their early-’80s commercial peak, Hall and Oates produced a seemingly endless string of hits in that vein, with sincere lyrics, superior vocals and exquisite hooks that combined rock, pop, soul and shiny new electronic sounds. They had everything an act could want — except critical approval. Maybe it was their lack of irony, or the mixing of styles, or the fact that they looked so damn eager to please in their MTV videos. Whatever the reason, critics gravitated toward R.E.M. and the Smiths, and treated Hall and Oates like the targets in a journalistic game of Whac-a-Mole. "I am not of my own generation," Hall says. "Maybe that’s why I’m resonating outside of it. I’m from the baby boomer generation, but I can’t stand baby boomers. I feel much more akin to other generations, especially Gen X and younger. I think that my difficulties — never with the audience, by the way — but with the ‘spokesmen’ of my generation who were these media people, they had a different standard to judge things from. That standard was not my standard. Their perceptions weren’t my perceptions, so I had a running battle with them — and now they’ve all gone away." If Hall embraces his resurgent popularity with younger musicians and fans, he has also helped propagate it. Unlike many of his contemporaries, he’s savvy about using the Internet to connect with a new demographic. Since 2007, he’s been hosting Live from Daryl’s House, a web TV series in which he jams and chats with pals in his farmhouse studio. Earlier this year, it won a Webby award for best variety show. "I saw the future of the internet as including passive entertainment, where the audience just watches a show. There really weren’t any music shows like that in 2007. And I thought, Why don’t I just do a music show, a very internet-style show, very loose, very free and just have no ‘act’ at all, turn everything on its head. Instead of me travelling the world, I bring the world to me. No rehearsal of any account. That was really the idea, and it all sort of sprung from that." Written late one night in a studio session for the 1981 album Private Eyes, I Can’t Go For That (No Can Do) is a minimalist masterpiece. The track kicks off with an addictive drum machine rhythm, and once the seductive bass line is layered in, resistance is futile. In 1989, hip-hop trio De La Soul became the first musicians to sample it, using that shimmering beat in Say No Go. Since then, everyone from Heavy D to Simply Red has borrowed it to juice up their funk quotient.-- G.D.
It’s bliss for music fans who appreciate watching Hall and legends like Smokey Robinson cover each other’s material in a casual setting. The series has also given Hall the chance to meet some of his newer devotees. "I kept reading about these new bands saying, ‘I really like what Daryl Hall does. Rich Girl is my favourite song.’ All this kind of thing. And I thought these people are really giving me a lot of support and respect. So when it comes time for guests, who am I going to ask to be on the show? Well, the first person I asked was Travis McCoy of Gym Class Heroes, who literally has tattooed my initials on his hand. You can’t get more respectful than that. I don’t know if respectful is the right word for that… you can’t get more something than that." Patrick Gemayel (aka P-Thugg), the keyboard player for Chromeo, is another disciple. "Hall and Oates are one of our main influences," Gemayel says in a phone interview from a tour stop in Sweden. "I think this revival is all about people like us, who remember the songs from the radio when we were kids but kind of forgot about them because it wasn’t considered cool as a teenager. Then you grow up and you’re exposed to it again and you say, ‘Hey, this is objectively great music.’ No matter what time, what period, Hall and Oates is great music. And if your music is great, it’s going to transcend generations." Hall is more visible now than his longtime musical partner, but he and Oates still do gigs together, even appearing on this season’s finale of American Idol. A quarter-century after the critical vitriol, Hall sounds like a man who’s finally been vindicated. "There’s not an artist in the world who in his or her heart doesn’t hope when they’re making these songs that they’re going to resonate beyond the top 10 or that year, that era. That’s what you want. Whether it happens or not is anybody’s guess, but in my case and John’s case, it’s happening and it’s the greatest thing that ever happened."